Category 2,and SIL 2. They are used to safeguard machines and plant components as well as for reliable position detection within this environment. Inductive sensors with an increased temperature range, as well as increased EMC resistance and E1 approval for the use of mobile machinery and vehicles in safety-critical areas, round off this new portfolio. 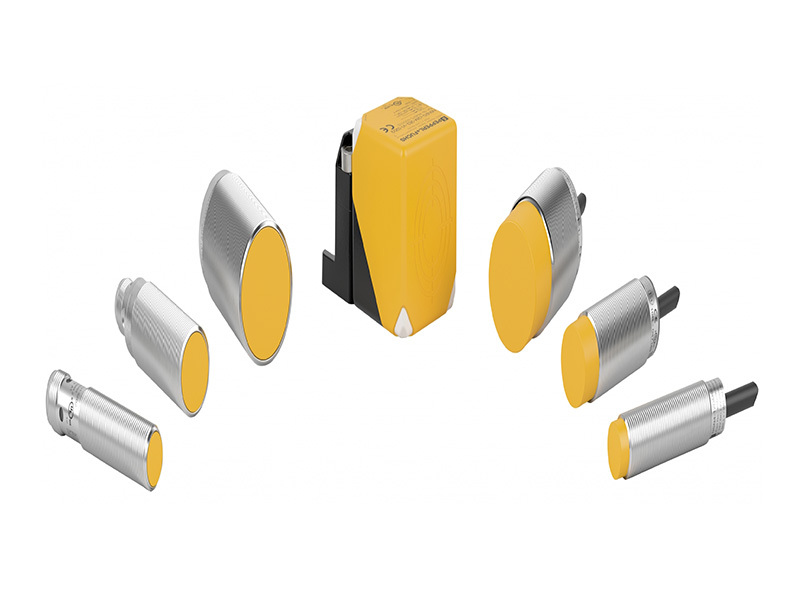 These safety proximity sensors do not require a special coded target and can therefore be used with standard metal actuators. The sensors from Pepperl+Fuchs have no blind zone and can therefore be mounted easily and without any additional adjustment. The sensors are equipped with standardized OSSD outputs (Output Signal Switching Device) for signals and diagnostics that can be connected to a safety module or a corresponding control panel. The inductive safety sensors from Pepperl+Fuchs have very high characteristic safety values due to the electronics used. As a result, the regular functional inspections are required significantly less often, and integration into the safety loop is notably more straightforward. The portfolio of inductive safety sensors from Pepperl+Fuchs, certified according to Machinery Directive Performance Level PLd Automation is our world. A Perfect application solution is our goal. A willingness to take entrepreneurial risks, a pioneering spirit, and a firm belief in their own inventive powers these were the assets that Walter Pepperl and Ludwig Fuchs started out with when they opened their Mannheim radio repair shop in 1945. Their invention of the proximity switch a few years later proved theirstrength. It was also the starting point in a successful history defined by close customer relationships as well as innovative automation technologies and procedures. Then as now, our focus is directed squarely on the individual requirements of each customer. Whether as a pioneer in electrical explosion protection, or as a leading innovator of highly efficient sensors – the close communication with our customers is what allowed us to become the leader in automation technology. Our main objective is combining state-of-the-art technologies and comprehensive services to optimize our customers’ processes and applications. Industrial Automation Review has expertise to provide informed and insightful coverage about industrial automation. IAR being arm of 17 year old brand – ENGINEERING REVIEW magazine has a legacy of unique editorial approach that provides knowledge & intelligence for management to IT to professionals on the plant floor. © 2019 - INDUSTRIAL AUTOMATION REVIEW – Online Portal on Automation. All Rights Reserved.